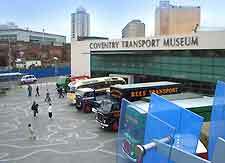 The main museums in Coventry celebrate its past car manufacturing industry and remember a bygone era. Coventry's Transport Museum is one of England's finest and features vehicles from many different decades right up to present day and projections of transport in the future. The Jaguar and Daimler Heritage Trust is another notable transport exhibition in the area. 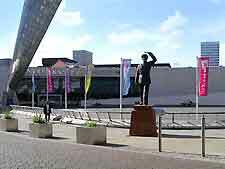 The Coventry Transport Museum is located in the very heart of the city centre, at Millennium Place. Offering a true blast from the past, this museum contains a host of nostalgia. Ranging from old 'bone-shaker' bicycles to vintage vehicles at their best, the museum is grouped into collections and galleries, with favourites including the Blitz Experience, Futures Gallery and Spirit of Speed. In total, you will find around 250 different cars and vehicles on display here, together with more than 100 motorbikes. 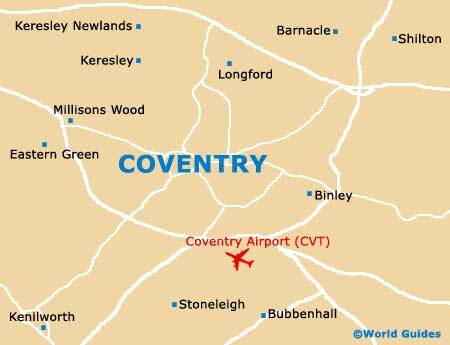 Centrally located along Priory Row, Coventry's Priory Visitors Centre is full of information about the city's original cathedral, which was founded in the 1200s and demolished some years later. On display are a number of archaeological games found when the site was being excavated. Underneath the complex, the Undercroft is a series of cellars and hidden, underground passageways, and guided tours of these ancient remains are available. The Jaguar and Daimler Heritage Trust Museum is home to over 100 different vehicles, although not all of the cars are on display at any one time. Standing just 5 km / 3 miles from central Coventry, many of the vehicles on display here are in mint condition and as if they have just left the actual factory production line, being in full working order and a reminder of an earlier time.